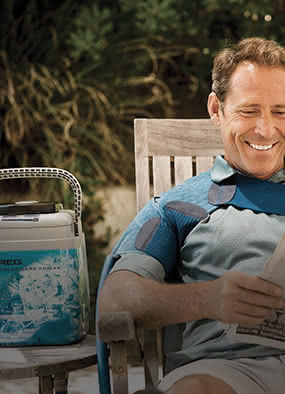 When it comes to needing a specialized hinged elbow brace, DME-Direct carries the largest online selection delivering 100,000+ annually to customers, patients, physicians and more. We carry hinged elbow support products that provide athletic protection as well as, support and control of elbow motion following surgery. You'll find all the top models from Donjoy, Ossur, Breg, DeRoyal, Hely Weber, and more! These products are designed with adjustable hinges that control the range of motion (straightening and bending) of your elbow joint. Some hinged elbow braces will feature additional straps positioned across the front of your elbow to reinforce the controlling affect of the hinge to provide added, beefed-up protection. Products designed for use following surgical procedures also address the positioning of your forearm in a protected, safe position for proper healing. 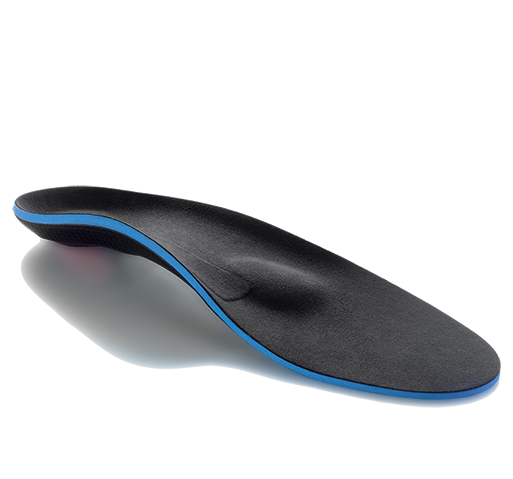 They feature adjustable hinge settings, full foam cuffs, and telescoping hinge bars for a customized fit. 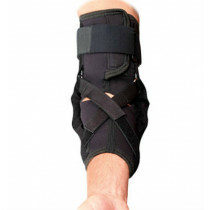 Although these post-surgical styles of hinged elbow brace products can be used as a splint, they should not be misunderstood as capable of protecting your elbow during contact sports. Search below to find your favorite model. Who Needs A Hinged Elbow Brace? Hinged elbow braces are intended for athletics or recovery after elbow reconstructions. Typically, post surgical elbow braces have the term "post-surgical" in their title or description to help you separate their intended use from those for athletics. 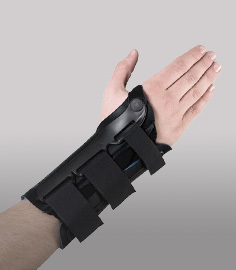 Athletic hinged brace models are shorter, may or may not have adjustable hinges, and usually have a crossing "X" strapping pattern across the front, crease-side, of your elbow. If you've dislocated your elbow previously or need added support for football, these would offer substantial protection. If you've had or are going to have an elbow procedure whereby your physicians wants you to have a brace that controls the flexion (bending) and extension (straightening) range of motion then consider more of a post -op design with or without a forearm bar to control supination/pronation (palm to palm down forearm motion).